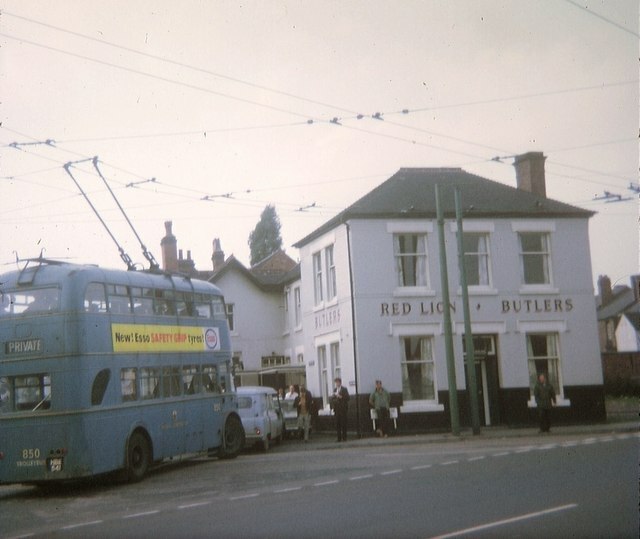 Crossley TDD43/2 trolleybus 850 (HBE 541) turning at the "Red Lion" public house on a private tour. Green Lane joins the B4210 (Vice A34) main road from the left. This page has been viewed about 312 times.